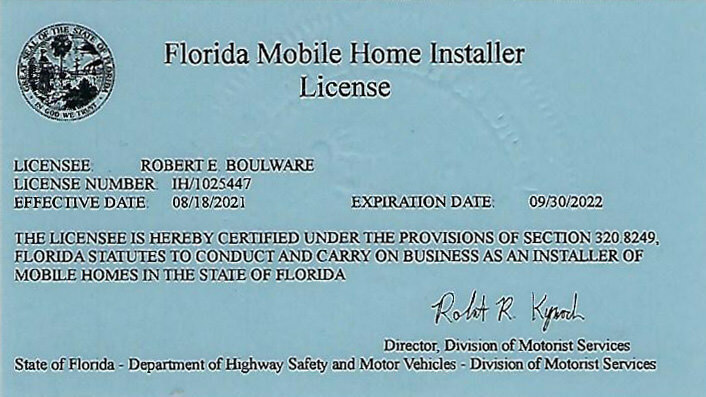 Storm Ready Services can professionally install and certify that your home meets specific State of Florida Codes. We can also certify that your home meets insurance and/or mortgage compliance standards. 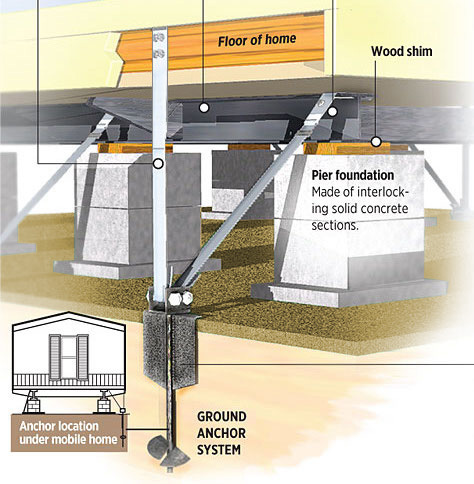 After installation of the State of Florida Approved Anchoring System, SRS will provide you with a Certificate of Completion. This letter certifies that the work performed on your home is in compliance with the Rules of the Department of Highway Safety and Motor Vehicles, Chapter 15C-1.0104 and FS 320.8325, General. A picture of our license, which is renewed every year, is depicted below.